047DCT is a replacement Security+ 2.0® receiver logic board. 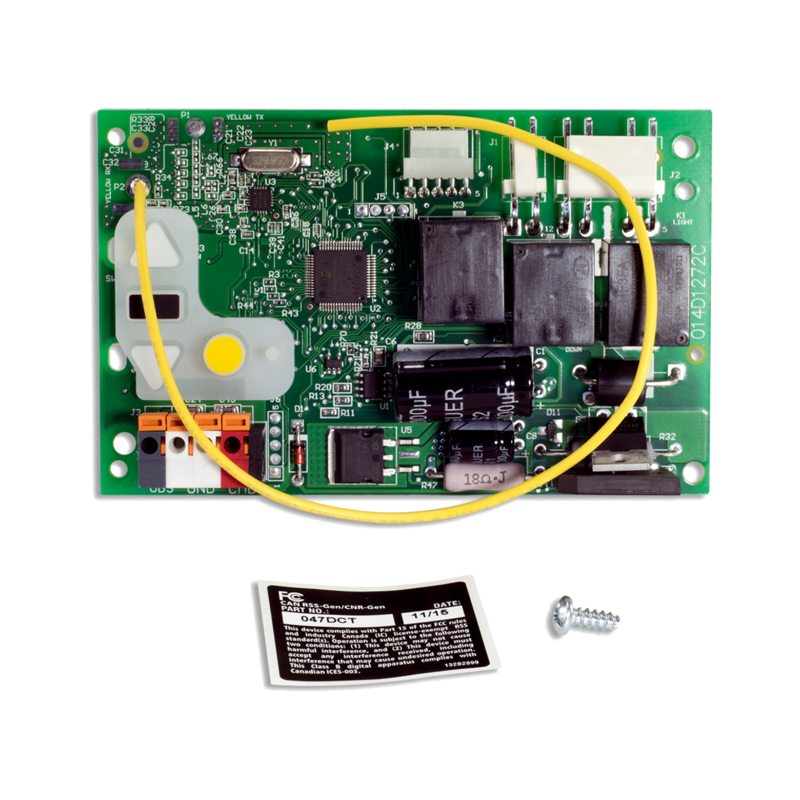 This replacement board does not feature myQ® technology. This 315MHz receiver logic board is compatible with various AC chain drive, and belt drive garage door openers; made after 2011. The unit will feature a yellow learn button. Check the manual for your specific model number before ordering to ensure compatibility.